We have been building robots and coding for almost 10 years. 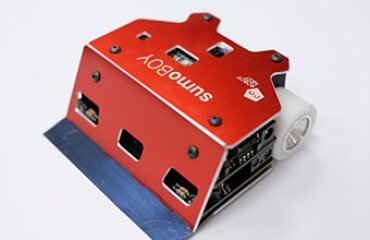 During the last 5 years we have been working on the sumo robot technology. Together we spend loads of time trying to find and figure out ways to make our devices do new and exciting things. We are peers, colleagues and friends. Together we spend loads of time trying to find and figure out ways how to make our devices do new and exciting things. One of the leading robotics specialists in Latvia, active researcher and lecturer, focus on research about autonomic systems and the AI(artificial intelligence). Among the organizers of the first robotics event in Latvia. Team and a actual leader of the Latvian robotics team. Has represented Latvia many times in competitions in Europe, USA and Japan, and with his team-mates have secured wide recognition of Latvia in the world. Teacher and researcher, manager of several robotics clubs. Has won awards at the international robot competitions. Made his first competition robot in year 2007. Designed mechanics of the winning robots at European, Japanese and American competitions. Together with his team-mates has made robots for scientific, educational and entertainment purposes. Teacher, actively teaches students and other enthusiasts in robot construction. Organizes electronics and robotics clubs in schools, as well as work-shops and seminars about the construction of robots. Robot prototyping kit includes robot SumoBoy and prototyping kit, opening an opportunity for interesting time spending and a way for implementation of your own projects. 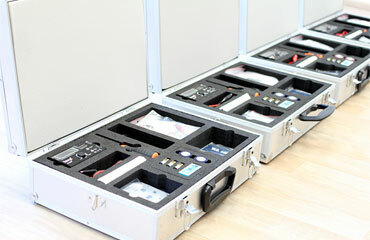 The kit is designed for pupils and enthusiast looking for a way to learn fundamentals of electronics and programming. The SumoBoy robot is design in accordance with international rules of robot sumo competitions and is ready to participate there. The prototyping kit includes a bredboard for soldering-free circuit construction allowing to reuse the components for different designs and use Arduino Micro microcontroller for programming. The kit is designed using accumulated teaching experience of Robotics Club of Riga Technical University leading the robotics community in Latvia since 2008. Some of us have been involved in different research and development project over the last years. However only few of them really excites us and we hope encourages others as well. One of them is Multi-robot project that demonstrated for the first time in Latvia cooperative robotic team enabling share a common task among robot team members, plan their execution and monitor the results. Some of the RobotNest team are still continuing their research trying to deliver the next generation of cooperative robotics technology. 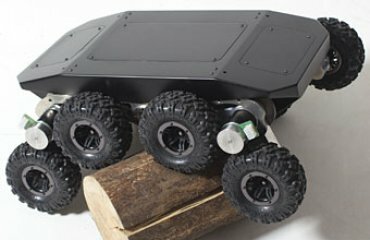 Some time ago we decided to help our armed forces by building a highly mobile robotic platform with significant autonomy. The chassis concept of the platform born while playing with Lego blocks but the practical implementation experienced 3 generations or versions before outdoor tests. While the last version is still a model it provided a significant amount of information and scientific data about its dynamics resulting in several Latvian patents and published scientific papers. We still have a plan to create a fully functional autonomous robotic platform and part of the RobotNest team is working on the next version of the robot attracting young researchers from Riga Technical University. Project is still non-commercial. To facilitate faster adoption of robotics and IT specific skills we have elaborated a special offer for clubs and schools based on our experience for last 10 years in organizing hands-on robotics seminars and technical chill-outs. 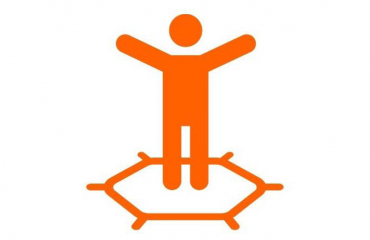 Each of the services is very specific in need an individual approach. Therefore if you consider it, please contact us. The Demonstration project is being installed at manufacturing site and is used to test and demonstrate the main functions of the SumoBoy. To install the project, download the code and unzip it in folder you know. Use the Arduino programming Environment installation guide to setup the Environment and then use it to open the project.